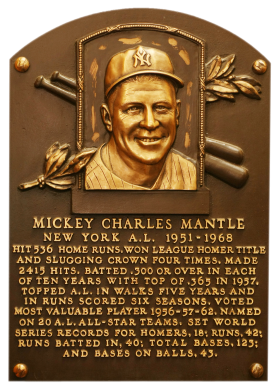 Named after Mickey Cochrane by his baseball-loving father, Mutt, Mantle was taught to switch hit and became baseball's leading switch-hitter. Succeeding Joe DiMaggio as Yankee center fielder, all Mantle did was match Joe's three MVP awards (1956, 1957, 1962). "The Commerce Comet," hit .353, 52 homers, and drove in 130 RBI to win the Triple Crown in 1956. He led the AL in home runs four times, RBI once, runs scored six times, and walks five times. 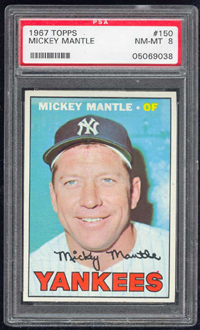 If not for a series of knee injuries, Mantle may have been the best of all-time. 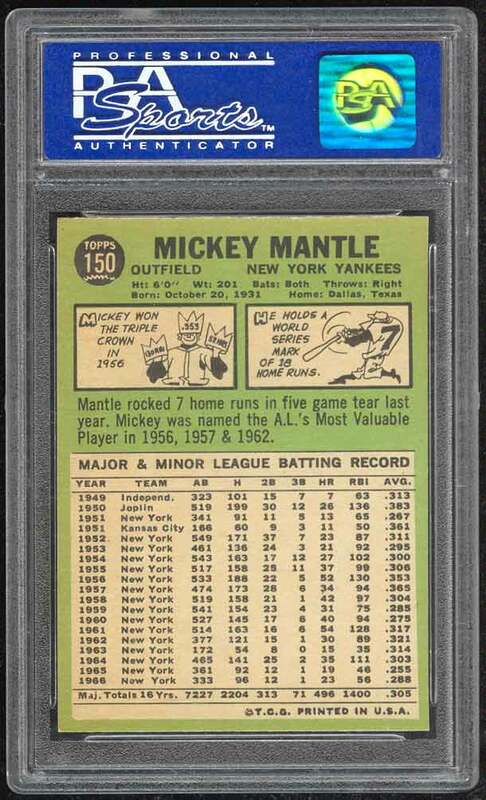 Inducted in 1974, lifetime he had a .298 batting average, 536 homers, 1,509 RBI, 1,677 runs scored, and 1,733 walks. Comments: Wow! If you're a centering freak, you'll love this beauty. Gourgeous card with bright photo, strong corners, and chip-free reverse! 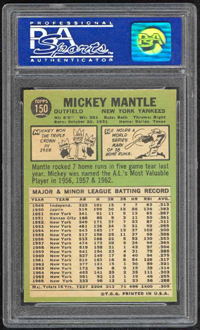 Absolutely one of the cleanest NM-MT copies of this popular card that you'll ever see. The WIWAG name makes a lot of people in our hobby cringe. This card was purchased from When It Was A Game in August, 2000. 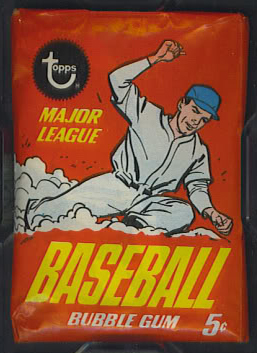 It was subsequently reviewed by PSA and determined to be a legitimate card worthy of NM-MT rating.